Won’t you make your marriage proposal? 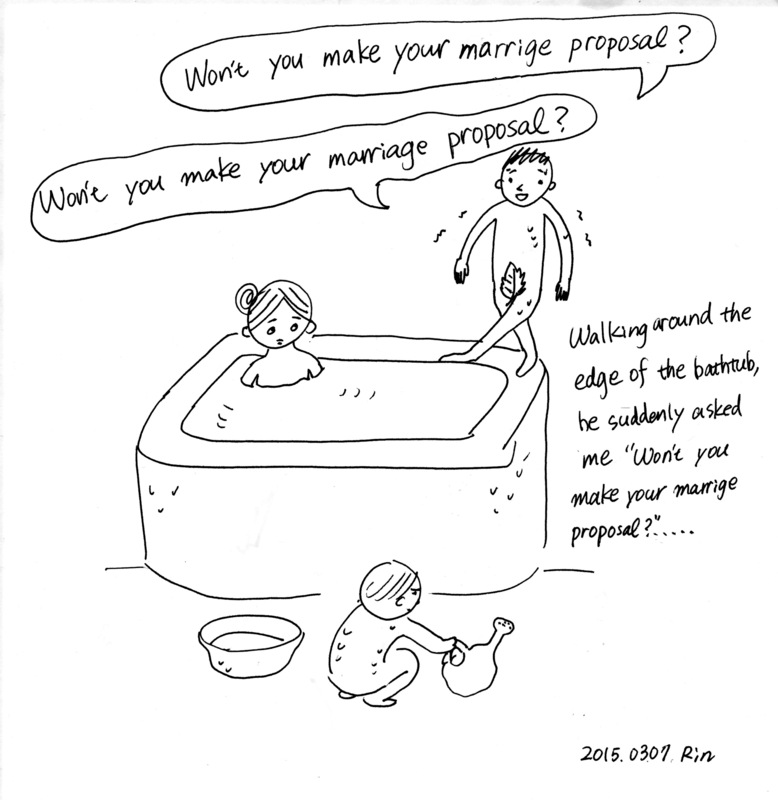 In the bathroom, 5-years-old Taka suddenly asked me “Won’t you make your marriage proposal?” walking around the edge of the bathtub. As for myself, I didn’t proposed by my husband. I was the one who wanted to get married, but he was not as it is a common matter for a man of age 30, so I rushed him to marry me and prepared for marriage by myself and finally, you know, we’ve got married. I felt a little bit sad about this missing a marriage proposal from my boyfriend-now my husband, but recently, in 8 years of marriage life, I found one good thing about this. Sound like sour grapes? Maybe…YES! This entry was posted in 05_Husband (Masa) on 2015/03/13 by mangadiary.